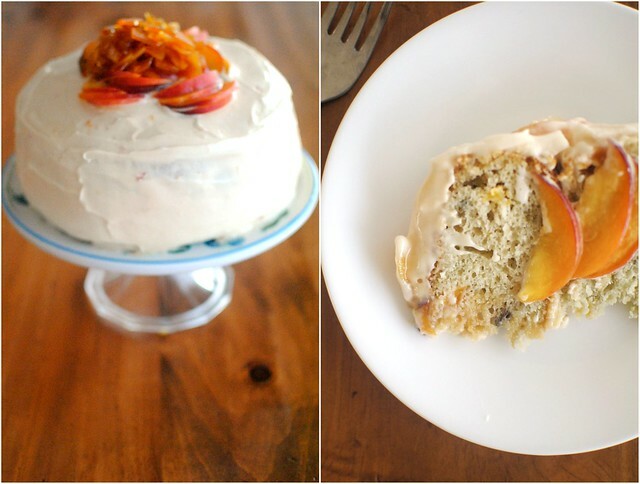 I made a peach cake. It was kind of a big deal. 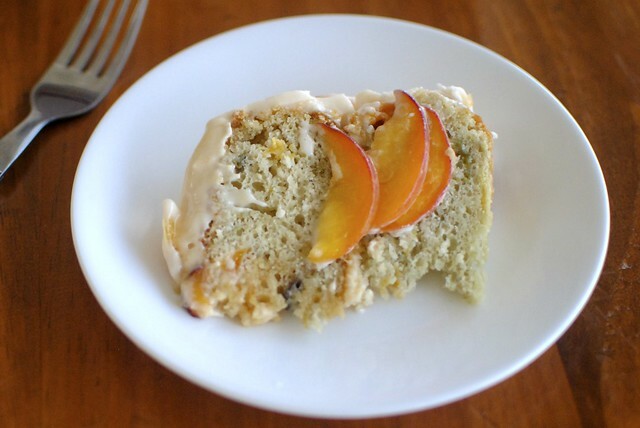 This wasn't just any peach cake. 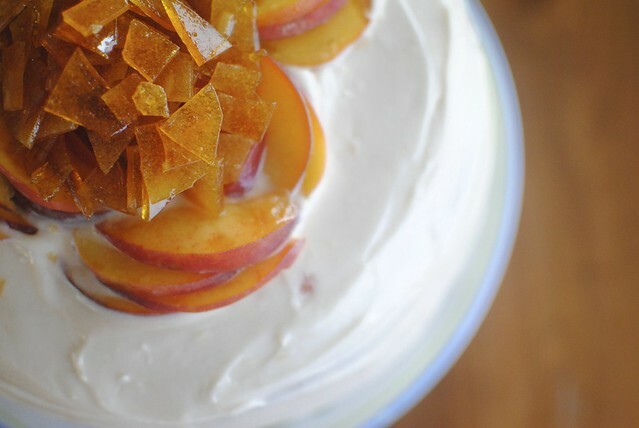 It was a peach cake with fresh ginger, cream cheese icing, crystallized sugar shards, and a homemade peach syrup. 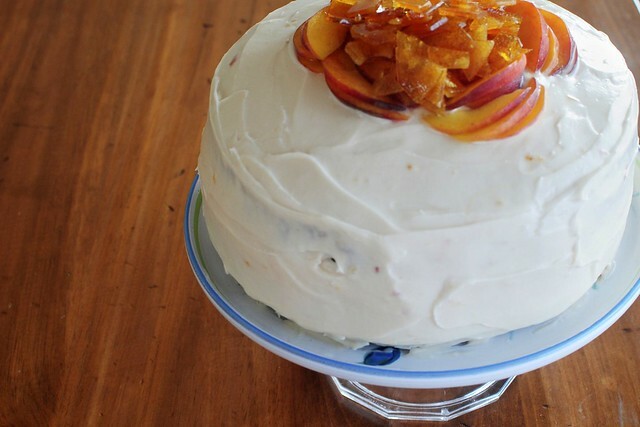 This was a special peach cake. Cakes and I have a rough history. They're just so all or nothing. If a cupcake falls apart, it's no big deal, you still have dozens more. 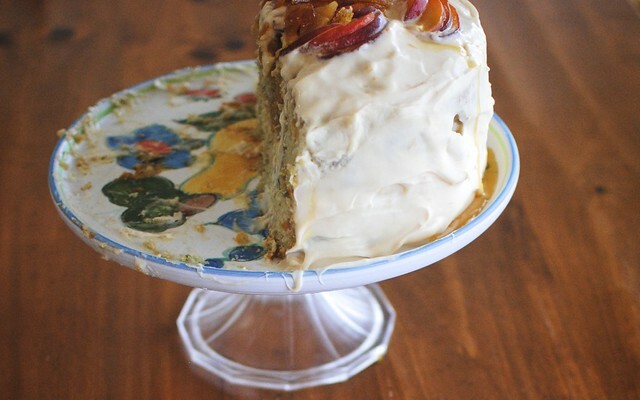 If a cake falls apart, it's a total tragedy (case in point: my most recent cake fail). When I set out to make this cake, I expected the worst. I was not going to cry when it broke in half or when I realized I forgot to add the eggs or something equally important. It was fine. I could deal with it. But somehow, magic happened. The cakes came out of the pans like a dream. The fresh ginger smell took over the beach house. The crystallized sugar shards shimmered in the sunlight. I almost cried of happiness. It was a defining moment. I spotted the cake on Pinterest months ago which led me to the full recipe, complete with detailed instructions and stunning photos. This cake is a winner.